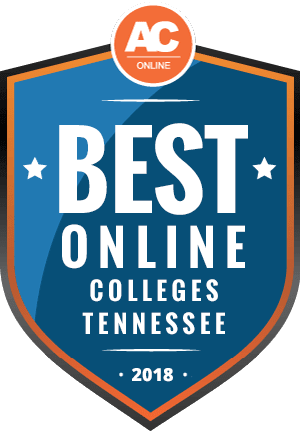 Why Choose Tennessee for Online Higher Education? Tennessee leaders have worked for several years to increase the number of residents in the state with a postsecondary degree, certification, or credential as part of a larger workforce and economic development initiative. In 2017, the state reported 31.5% of its residents had at least an associate degree, and only 24.9% had earned a bachelor’s degree. The Drive to 55 program aims to increased those numbers to 55% by 2025. Tennessee launched several programs to help make this possible, including last-dollar scholarships for eligible students attending community colleges in the state. Read on to explore the educational opportunities available through the state’s public and private colleges and universities in exciting fields of science, in-demand medical and business degrees, and liberal arts schools that develop critical thinking abilities. Higher education students in Tennessee may choose from 13 community colleges, 11 public colleges and universities, and 34 private schools with hundreds of degree opportunities. Data shows more than half of all high school students in the state enroll immediately in a postsecondary school. However, the state ranks 38th in public university graduation rates. Public and private schools worked to expand access to online degree programs to help these students continue their education while balancing responsibilities as parents or full-time workers. Many schools broadened their graduate degree offerings, as well, allowing individuals to develop their credentials and progress in their careers. Online colleges in Tennessee offer students an affordable option for earning or completing a degree, especially for residents of the state attending a public, two-year or four-year school. The sticker price for enrolling with an in-state, four-year university averages $8,932 and $3,940 at two-year schools. Those rates rise to $24,554 for out-of-state students at four-year schools and $15,346 for two-year colleges. However, those published tuition prices do not consider generous state financial aid programs or institutional scholarships that often reduce costs. Tennessee determines a student’s residency by looking at where the person lived the year before they enrolled in college and the home address of their parents. Students living in counties bordering the state or seeking certain eligible degrees may request in-state tuition rates from their school. Tennessee students pay close to the national average in tuition costs, but they may find significant savings in areas such as room and board, books, and fees. Attending an online university in Tennessee also offers cost-saving opportunities for students. Some schools may offer discounts for online students, reducing mandatory campus fees like parking or student activities. Students find the most significant savings at public, two-year colleges, but per-credit costs can vary from major to major and from undergraduate to graduate courses. Fees below represent in-state costs for undergraduate students per credit. Thousands of out-of-state residents choose to pursue an affordable online degree in Tennessee each year. Many take advantage of special discounts, including border grants, military waivers, or participation in an Academic Common Market (ACM) program. Tennessee schools offer more than 100 fully online degrees that prepare graduates for in-demand careers. Several accredited online colleges in Tennessee provide degree completion programs for students looking to complete their studies, whether they need a few credits or several semesters of coursework. Tennessee belongs to the Southern Regional Education Board (SREB) and participates in several programs that allow out-of-state students to seek a degree from affordable, accredited online universities in Tennessee. The ACM offers more than 130 degree programs at 152 schools. This program allows students who live in one of the 16 member states to pursue a degree in another state at in-state tuition rates. To qualify, students must pursue a degree unavailable their home-state schools. In 2017, 132 students participated in this program in Tennessee, saving an average of $13,609 on tuition costs. The Regional Contract Program promotes study in professional healthcare fields by offering in-state tuition at public universities and reduced tuition at private schools. Each state must authorize the schools providing educational services to students living within its borders. The rise of online learning, however, led to regulatory burdens on schools and states. Tennessee joined the State Authorization Reciprocity Agreement to expand access to online colleges in Tennessee and increase opportunities for students in the state. Also, the Electronic Campus of SREB contributes a collaborative marketplace of accredited online degrees in Tennessee and other member states, with more than 5,300 programs offered. Students should consider several factors when choosing the most affordable accredited online colleges in Tennessee. Their decisions will vary depending on their educational goals and personal needs. The ranking below offers information to help narrow the selection, ranking schools according to quality indicators including the number of online degrees available, six-year graduation rates, and student-teacher ratios. It also considers cost factors such as the average net cost of attendance, how many students receive college scholarships or aid, and the average amount provided by that aid. The questions and answers below can help students choose the best online school in Tennessee to meet their needs. Read on for information on how to begin the next part of your educational journey, including ways to get started quickly on a degree and the number of eligible transfer credits. Do Online Credits Cost More or Less in Tennessee? Though many top online colleges in Tennessee offer affordable tuition options, the cost per credit varies from school to school and even program to program. Some schools charge the same rate per credit for online and in-person classes or may add a technology fee to the online course. The public, two-year Roane State Community College offers in-state students a base tuition of $164 per credit. Online students through the TN eCampus pay an additional $66 per credit. Tennessee Technological University, a four-year public university, charges undergraduate tuition of $312 per credit for on-campus courses and an extra $125 per credit for online courses. Many schools, however, offer significant discounts for online-only students. The private liberal arts school Bryan College, in Dayton, sets its residential undergraduate tuition at $13,950 per semester for up to 19 credits, or about $735 per credit for students taking the maximum number of courses. Online students pay $365 per credit, a $65 technology fee per semester, and often benefit from reduced living and commuting costs, as well as the ability to continue working while taking classes. Which Tennessee Schools Accept the Most Transfer Credits? Online universities in Tennessee accept transfer credits for college-level work completed at regionally accredited institutions. Two-year colleges may only allow 30 credits toward a 60-credit associate degree, while four-year universities may take up to 90 credits toward a bachelor’s degree. Every school sets its residency requirements, or the number of credits a student must earn at the school to earn a degree. Often, colleges require students to enroll in their upper-division coursework in the major. Students must have passed the course with at least a 2.0, and the admitting school also must offer an equivalent class. Transfer and articulation agreements make this process much easier, but students transferring their credits from out-of-state schools may need to submit syllabus and course information. Applicants with significant work history or military training may also consider a prior learning assessment. Schools evaluate training programs, professional certifications, and a work portfolio to award academic credit. Most colleges charge a price for the evaluations, but that fee often offers a discount over tuition costs. The prior learning assessments also reduce the time necessary to complete a degree and ensure students do not spend their valuable time in unnecessary classes. Will Any Online Colleges in Tennessee Accept a GED? Several online colleges in Tennessee offer open admissions, which do not require specific high school courses or specific scores on college entrance exams for admission. The school takes all applicants who meet basic eligibility requirements. Individuals who earn a General Educational Development (GED) must submit proof of passing the official exam, and graduates younger than 21 also need to take the ACT or SAT. While many schools do not set a minimum score, a student’s performance on the test indicates if they need learning support classes in English or math. Students over 21 must take an academic placement test. Learning support or remedial courses help prepare students for the rigor of college-level courses. However, students earn no academic credit toward their degree and must pay tuition for those credits. Accelerated bridge programs or retaking entrance exams can display proficiency in those subjects and allow students to begin credit-bearing coursework. How Many Academic Terms Per Year Do Online Colleges in Tennessee Offer? Many online programs in Tennessee follow the traditional three-semester format, with 15-week fall and spring semesters, in addition to accelerated summer sessions. Schools often welcome students to start working on their degree with at the onset of any semester. Some specialized programs, like nursing or education, may utilize a cohort model and only allow students to begin coursework once a year. Many schools, however, have adopted accelerated class schedules, where students focus on one or two courses every eight weeks. This course structure not only allows learners to focus on fewer classes each semester and earn more credits over a year, but it also provides more start dates for new students. Western Governors University, which offers undergraduate and graduate degrees in areas of business, healthcare, education, and technology, offers rolling admissions throughout the year, with start dates every month. The school also uses a competency-based instructional method. Students enroll for six months at a time and complete as many credits as they can. They move on to the next course once they have shown mastery of knowledge and skills in a class. Lipscomb University’s College of Professional Studies provides a unique one-day learning assessment that allows students to earn up to 30 college credits for prior learning. From there, students choose a competency-based program or an accelerated, semester-based program to complete their degree. Which Online Colleges in Tennessee Will Accept the FAFSA? All online colleges in Tennessee that accept federal student aid funds recognize the Free Application for Federal Student Aid (FAFSA). Students must complete the form annually to qualify for the state’s financial aid programs: Tennessee Promise, Tennessee Reconnect, and Hope Scholarships. Both Tennessee Promise and Tennessee Reconnect bridge the gap between the cost of required tuition and fees and a student’s federal financial aid, using lottery proceeds to make up the difference. These programs assist in-state students attending a public two-year college right after high school or adult learners returning to complete a postsecondary degree. Both public and private institutions rely on the FAFSA to distribute need-based grants and scholarships that make attending an online school in Tennessee affordable. Students should note any deadlines for scholarship or aid applications, which may be earlier than the state programs deadlines. The FAFSA application period opens Oct. 1 each year. Are There Any Free Online Classes I Can Take From Tennessee Colleges? Johnson City’s East Tennessee State University (ETSU) offers a limited number of free online classes, with sessions available in U.S. History, Introduction to Music, and Introduction to Psychology. The courses provide students with the chance to enroll in a college-level course online to determine if they possess the technical skills and personality to succeed in distance learning. ETSU offers the eight-week classes at no charge to anyone interested in the subject, not just admitted students. Students can earn college credit for completed courses at a fee of $335. The cost represents a savings of two-thirds the in-state fee for a three-credit course at the school. Other online universities in Tennessee offer Massive Open Online Courses (MOOCs) through a variety of partner organizations, such as edX or Coursea. These classes also help students gain experience and confidence in online learning, but the schools do not offer an option to earn college credit. Lipscomb University and the University of Tennessee at Knoxville both offer a selection of special-interest classes through partnering MOOC sites. Lipscomb’s offerings include a teacher preparation course that also provides professional development to current teachers looking to implement new state academic standards. How Can I Find the Online Program Options at Tennessee Colleges? Tennessee’s eCampus offers a consolidated look at the online programs in the state. Students can search by program to identify fully online degree opportunities available from public two-year and four-year colleges within the Tennessee Board of Regents system. With the ability to search a consolidated catalog of online courses to take a class they need from any of the partner schools, students enjoy a more streamlined transfer process between schools. All participating programs maintain regional accreditation through the Southern Association for Colleges and Schools. The site offers resources to help students be successful in their studies and connects them to financial aid and employment resources. Each course qualifies for financial assistance through federal student aid and the state’s education grants, including the lottery-funded Tennessee Promise, Hope Scholarship, and Tennessee Reconnect. Out-of-state students enrolling exclusively in online courses may apply for the state’s eRate, set at 150% of the schools undergraduate or graduate maintenance fee. Students may need financial help to pay their tuition costs, even when choosing an affordable online college in Tennessee. Federal student aid makes up the bulk of many financial aid packages, especially the Pell Grant, which provides up to $6,095 per year. Sometimes, grants only support students when working toward their first undergraduate degree and may not cover all of a student’s costs. The resources below offer examples of scholarships Tennessee students may seek to help pay for their degree. Graduates of Tennessee high schools may apply for the HOPE Scholarship to pay for tuition and fees, offered through the Tennessee Student Assistance Corporation (TSAC). Applicants must score at least 21 on the ACT (1060 SAT) and possess a 3.0 GPA. Students may renew the award for up to four years, with extra funding for junior and senior years, provided they meet academic requirements. The HOPE Scholarship, funded with lottery proceeds, serves as the basis for other academic awards offered by the state. Students meeting the requirements for the HOPE Scholarship may apply for supplemental funding from TSAC. Students must graduate high school with a 3.75 GPA and score a 29 on the ACT (1350 SAT). Students attending college part time may receive prorated amounts. This need-based award provides a supplement to HOPE Scholarship awards. To qualify, students must meet the academic and graduation requirements of the HOPE Scholarship with a family income of $36,000 or less. Students may apply for renewed awards each year, provided they meet academic requirements and need-based criteria. Dependent children of Tennessee law enforcement personnel, firefighters, or emergency medical service technicians killed or disabled in the line of duty may apply for this award. Students may renew the scholarship up to three times but must remain enrolled in full-time undergraduate programs at eligible Tennessee institutions. Named in honor of former Gov. Ned McWherter, this program seeks to help academically gifted graduates attend a Tennessee college or university. Students apply in the spring of their senior year and must possess a 3.5 GPA with a 29 on the ACT. The program also considers leadership and extracurricular activities, in addition to completion of honors or advanced placement courses. Students may renew their award for three years, provided they maintain a 3.0 GPA and full-time attendance in college.